22:27 – Selections from our Sunday Morning Worship Service at The Unitarian Universalist Congregation at Montclair by John Wodnick. 35:01 – Selections from our Sunday Morning Worship Service at The Unitarian Universalist Congregation at Montclair by Charlene Marable. 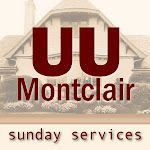 36:39 – Selections from our Sunday Morning Worship Service at The Unitarian Universalist Congregation at Montclair by Hal Strelnick. 56:24 – Selections from our Sunday Morning Worship Service at The Unitarian Universalist Congregation at Montclair by Markus Grae-Hauck, Jason Brome, Jerry Fried, Iris DeLaPaz, Jane Gaertner, Deb Ellis, Michelle Gouin, Sue Raufer, Judith Rew.